As with all living things, even the hardiest plants require care, and strategies can vary quite a bit. As a new plant parent you have to get to know your plant: how tough it is or isn't, how much water it really craves, and if it prefers classical music or a perhaps an 80s throwback (or maybe that's just me wondering). A plant will go through various cycles and change shape and form as it grows with you, and sometimes those cycles might look like the end of the line. But if you pay attention, you might be able to pick up on some tell-tale signals that your plant is sending you before it's too late. A freshly planted, tiny pencil cactus in our new porcelain planter from Stuck in the Mud Pottery. When you first bring a plant home, make sure you understand what it needs in the way of light, water, soil, and other conditions, so that you can provide it the best possible imitation of its natural environment. Then, learn how to read its signals: A plant can go through stress for a multitude of reasons (most of which you have some control over) and it will normally let you know via its leaves. Dropping and/or changing color of leaves is one of the biggest signs that your plant is in stress. When you notice a change of this kind, however, don't freak out and overcompensate. Take a moment to analyze the scenario and react accordingly. 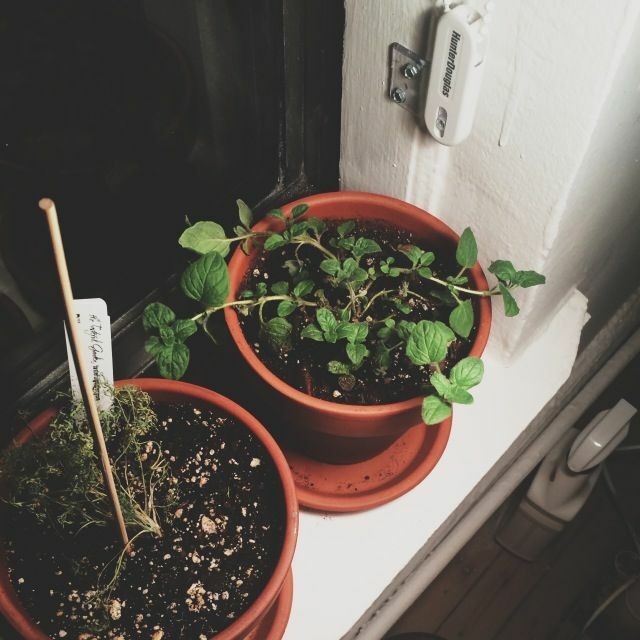 Planting our windowsill herb garden; bringing oregano back from the brink with the help of a grow light. Issue: You've instantly killed your plant. Diagnosis: If you've recently repotted a plant, it can experience shock, which should subside in 2 to 3 weeks. Treatment: Just wait it out. Don't try to add fertilizer to perk it up, as the potting mix you used for repotting most likely has food in it. A plant can only take in so much food! Issue: The leaves are dropping off like flies. Diagnosis: If your plant is dropping leaves from the center of the plant (versus dropping leaves on the perimeter), it might not be getting enough light. Treatment: If you're not giving the plant the light that it needs, move it closer to a sunny window or buy a plant light. Issue: Your plant is paling from green to yellow. Diagnosis: If the leaves are turning yellow—almost jaundice-looking—and the center stalk is turning brown and getting a little soft, chances are you might be overwatering your plant. Treatment: Check to make sure that it's draining properly (by looking for water in the drain tray), and adjust your watering schedule as needed. If your container has no drainage hole, you can use gravel at the bottom under the soil but that's just a precaution and won't guarantee good drainage. Using a good potting soil instead of topsoil for planting also encourages proper grainage. Lastly, remove yellow leaves, as they will not turn vibrant green again—and don't worry, it's all for the best. Issue: Your plant is turning brown. Diagnosis: If the leaves are turning crispy brown from the tips, chances are your plant is drying out. Treatment: Determine if your plant needs more water by checking the soil, and adjust your watering schedule accordingly. If you have forced air blowing on your plant, or it is getting too much sun, move it into a more habitable environment. Issue: Your plant has been invaded. Diagnosis: If the leaves are turning colors and you see webbing or new bumps protruding from your plant, check for bugs. There are a multitude of bugs that could be munching on your plant such as mealybugs, spider mites, scale insects, and aphids. Treatment: Determine if there are bugs and which kind they are by comparing with pictures online, then treat your plant with sn appropriate organic insecticide. Issue: Your plant just won't grow. Diagnosis: If your plant looks lackluster in general and isn't growing very readily, figure out when you last fertilized it. We're now getting into the warmer growing season when plants need some food; yours might be hungry! Treatment: If you haven't fed the plant in a while, you might want to start doing so. I like using a water-soluble fertilizer such as Fox Farm Grow Big or Big Bloom. Instructions come with each concentrated bottle. Issue: Nothing helps! Diagnosis: If your plant still isn't responding to your care, consider when you last repotted it; maybe it's time for you to find it a new home. Treatment: Many plants will benefit from being moved into vessels about 10 to 20% larger than their current homes, every year or two. When you get to the point where you're watering the plant much more often than you used to, or you see active roots popping up through the soil, it might be time. 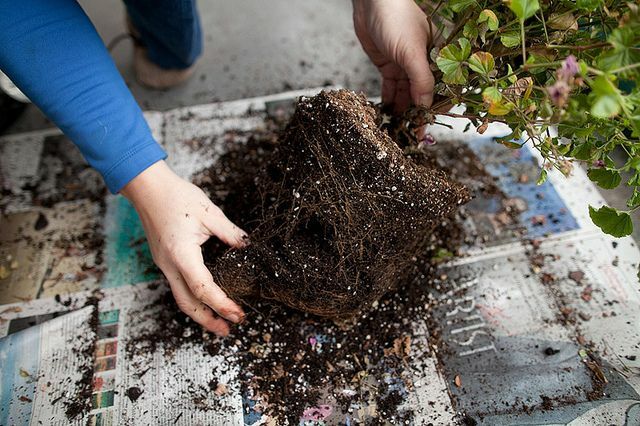 When repotting, massage the plant's roots to loosen them before you pot it in its new home—that way they understand that there is room to move out and expand. We first ran this post last spring, but houseplants can go into crisis mode any time of year! So we brought it back to help you save them. First photo by Mark Weinberg; last photo by Amy Pennington. Tara Heibel is the author of Rooted in Design and the owner of Sprout Home in Brooklyn and Chicago. 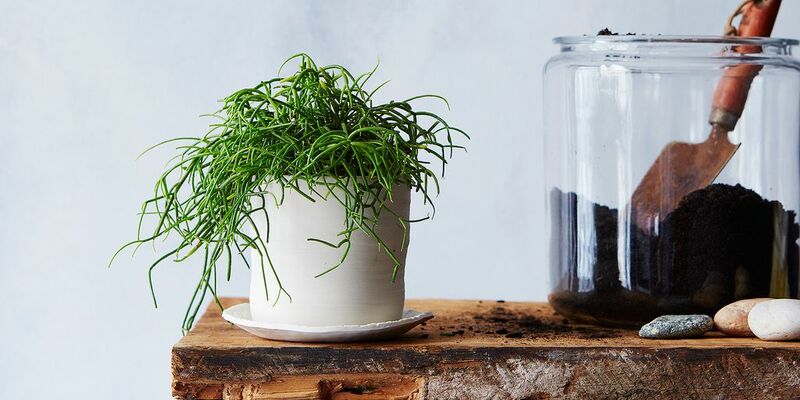 Have you brought any houseplants back from the brink? Let us know how you saved them in the comments! 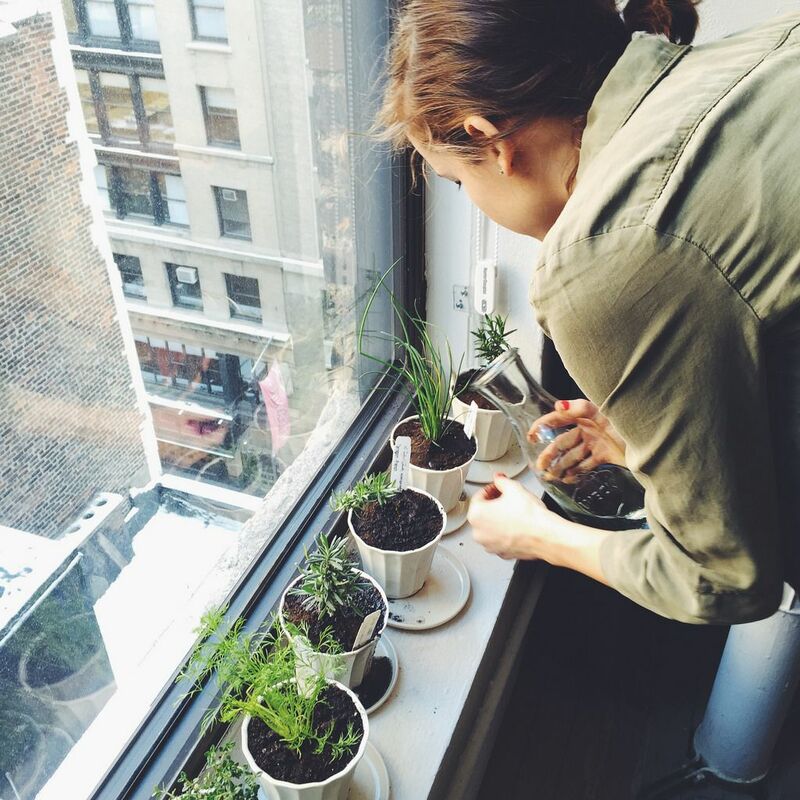 Tara Heibel is the founder of Sprout Home, a home and garden store with locations in Brooklyn and Chicago. I am in desperate need of help with my house plant. My cats have decided its rather tasty and unfortunately did a lot of damage to the plant before I caught them snacking on it. The plant still has some new growth but is badly damaged. I'm not sure if there is anything I can do to save it but I don't want to give up on it! Any suggestions? A hot pepper spray (available at nurseries, or you can make your own) should keep the cat off. Curry plant (Helichrysum Italicum)sometimes available at nurseries) is said to be a good cat deterrent- you might be able to grow it as a companion, though I've never tried it indoors. Time, the great healer, should bring the plant back; no special care, but make sure it's fed. From a wise man who grows succulents I learned not to water my jade plant from November to March. Frightening but true. I had a years-old jade tree - 4' high - that died of rot. Now I follow that wisdom and my jades are healthy. Maybe depends on where you are- Jade Tree (Crassula Arborescens) is from a Mediterranean climate South Africa and is naturally a fall/winter grower. It is, however, fairly tender and will weather freezes better if dry. In California areas where the climate is similar to it's native area, it can be grown (in the ground) on natural watering; it will look pretty badly shrivelled by the end of the rainless summer, but will perk up with the first rains and will flower better than if watered all year. I have brought back from the other side my window orchids a few times... I have a recovery windowsill with lots of light but no sun that they love... Cut all drying tacks just a couple of centimeters above the last healthy knot and wait patiently for the new sprout to come! They always end up blooming again! Would love to send you the picture of my current patient! Thanks for the great reads! need a dormant period, like hibernation. If I ease off and watch for signs of growth, they know when it's spring and will let me know when to start watering and feeding again. On the other hand, I had a flowering maple that flourished for 5 years or more, blooming and growing about 5 feet tall. It showed signs of distress, and mushrooms came up around the base of the pot. Finally I was forced to give up. Were the mushrooms a sign of decay of the plant from the roots? Sounds like Armillaria fungus, a serious pest of many cultivated plants. It's a soil fungus, with no practical treatment for a home gardener (as I remember, the commercial treatment is to inject the soil with tear gas). If you still have it, the soil should be disposed of carefully. Dormancies are a difficult one to get a hold of, so kudos. They can get more confusing- Mediterranean climate plants (including most of the Oxalis) are winter growers by nature, and will want to wake up in Fall. Also, southern hemisphere plants transported to the north often keep going by the calendar rather than the climate, and will want to grow out of season. You probably won't have to worry about this unless you get into exotic succulents- many of the best caudiciforms have this trait. I kept a fiddle-leaf fig tree that dropped *all* of its leaves in a bright window for months without much indication of lif. My friends and family teased for growing a stick in a pot but three years later it's four feet tall and gorgeous!